We recently covered some hidden features of the new Apple iOS allowing users to do a few tasks that aren’t particularly obvious to do. Teaching pronunciation to Siri and adding timestamps were some of the tasks we covered. In this article, we show you more features of the iOS 7 and teach you how to access some of these features. iOS 7 is the biggest revamp of Apple’s proprietary operating system in its existence. Its initial feedback has been mixed, but it has introduced some strong new functionality. The location services for a large number of devices seem to have been turned off after the iOS 7 update. This prevents the optimal usage of apps that rely on location to work. Applications such as Google Maps, Waze or WNM Live can be crippled without the use of location services so it is important to switch it on. It is fairly simple to turn it on. Simply go to Settings, tap on Privacy and then on Location Services. Here, you can switch it on or off. Some people prefer it switched off so to not be ‘tracked’. At this screen, you can also select which of your applications are allowed to use your location. The menu also has a button called System Services. Tapping on it allows you to turn off location based adverts. Another way to switch location services on or off is by again going to Settings but selecting General Settings instead of Privacy. After tapping General Settings, select Restrictions and scroll to Location Services under the Privacy tab. Simply select Allow Changes and switch the service on or off. Customization is great in the iOS 7. Users can now customize their own vibration alert pattern, in addition to the huge range of new ringtones and alerts. Head to Settings and click on Sound. Hidden here is the Create New Vibration option. This cool feature allows you to tap out a custom vibration pattern that can be used as an alert on your iOS 7 device. Select Ringtone from the Sound menu and scroll up, selecting Vibration. Scroll down and tap on Custom and then select Create New Vibration to arrive at a screen with a circle in the middle of the screen. Get creative to create a cool vibration alert and hold your finger down for a longer vibration. Siri, your personal assistant will be able to help out more if you input your address into the phone. You can then tell Siri to remind you of a list of things to do once you get home and Siri will do so once it knows you are home. Siri will realize you have reached your home address and then remind you of your list. Entering your address will also allow the Notification Center to give you traffic updates every morning. 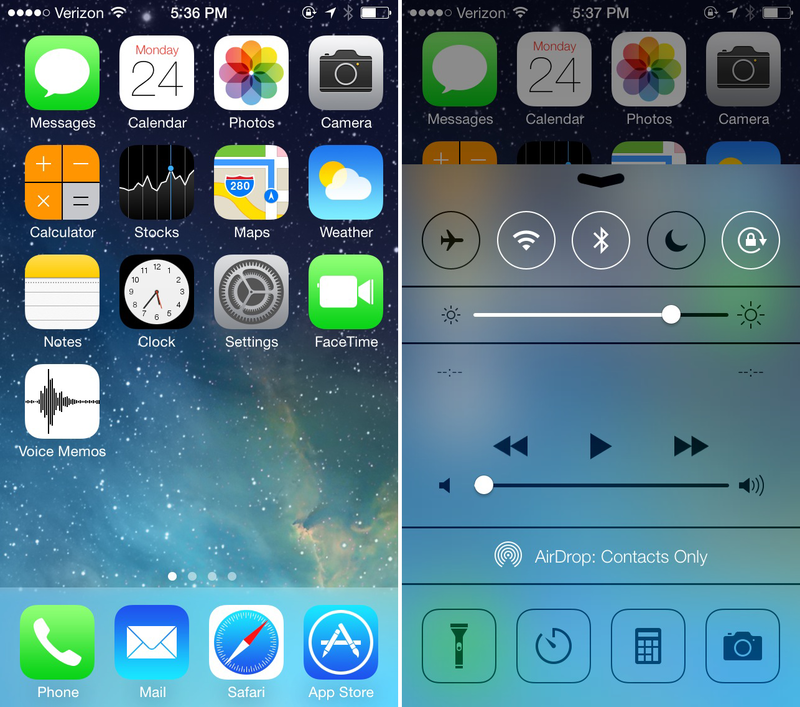 These 3 features are handy and will improve your overall iOS 7 experience. There are plenty more hidden attributes on this new operating system that are being discovered by users all around the world.